White gold hoops are trending this season and it is time to bring out your inner ice queen. Metallics and cool colors reign supreme in winter and we love it. 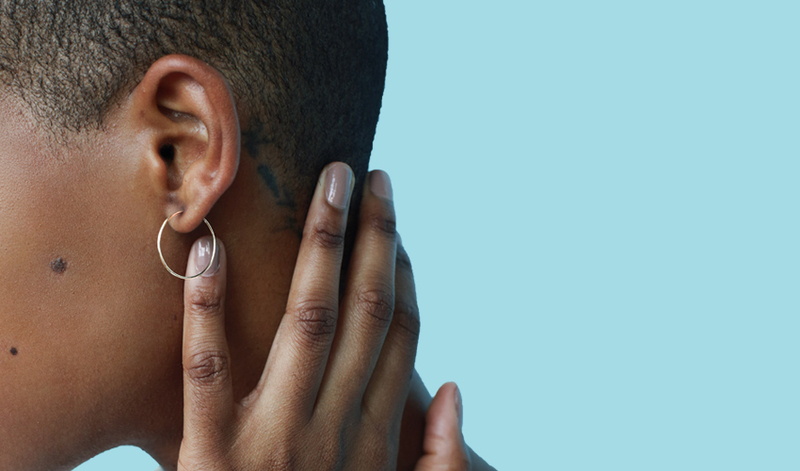 This jewelry season, go beyond the basic hoop and learn how to style earrings. Try out different hoop styles, even the ones you think you would never wear. Covering up for the cold doesn’t mean our jewelry can’t take center stage. Start by completing your collection of hoop earrings. 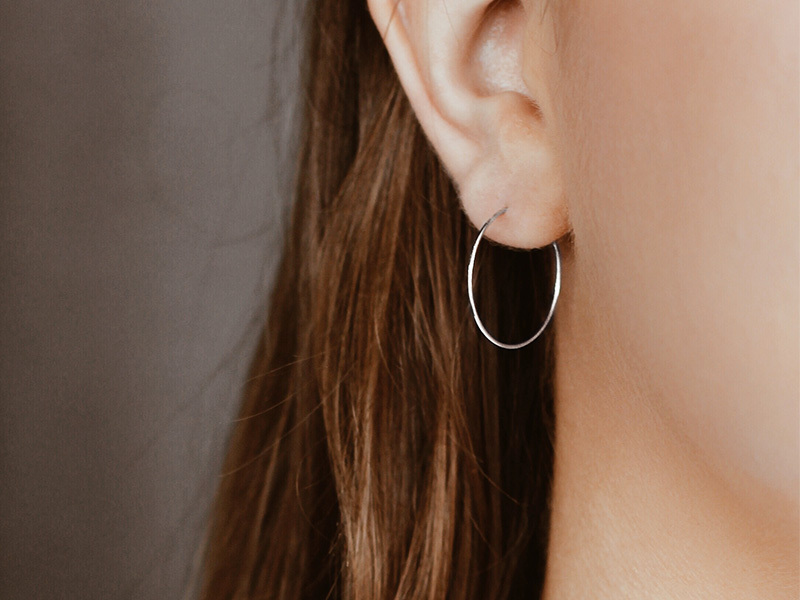 Here are our styling tips for white gold hoops. Christmas lights aren’t the only things that will be a sparkling all over town. You will too with diamond white gold hoops. White hoops and diamonds are a match made in jewelry heaven. A classic that will never become outdated. For maximum sparkle, choose a medium-sized hoop that has diamonds set all around the hoop. The diamonds should be small and square to look the best against the white gold background. If you don’t want too much sparkle then you can also choose a pair that has a single diamond. A large single diamond in a hoop earring looks chic. For a more playful look, find a pair that has the diamond dangling below the hoop. Another on-trend hoop earring style is one that has a large stud, in this case, a diamond, with a dangling hoop. This earring style will fall lower which can help slimmer faces seem more filled out. Gone are the days where your mother warned you not to mix metals. Mixing metals is on trend right now. Crown yourself the jewelry style queen by wearing a pair of white gold earrings that has elements of other metals too. A twisted hoop earring, yep, yet another hot trend right now, is the perfect shape for a mixed metal earring. You can also stick to a solid white gold hoop earring but then match it with piercings in other metals. Look for a common element in each earring to make sure the look still seems like one whole. We are continuing with this winter’s hottest trends. White gold hoops can be your statement piece this season. In fact, some designs are so great that stylists are sending out their celebs with a single earring. Don’t be afraid to take style risks in your jewelry this season. Big and bold hoops are right on trend. Look for larger hoops so that the detailing within the circle is given enough space. Look for hoops that have shapes within them or have gemstones incorporated in the design. This season bigger is better so don’t shy away from hoops that will drop below your jawline. Or, go for a smaller hoop but with a chunkier design. The basic hoop has been upgraded with a twist. 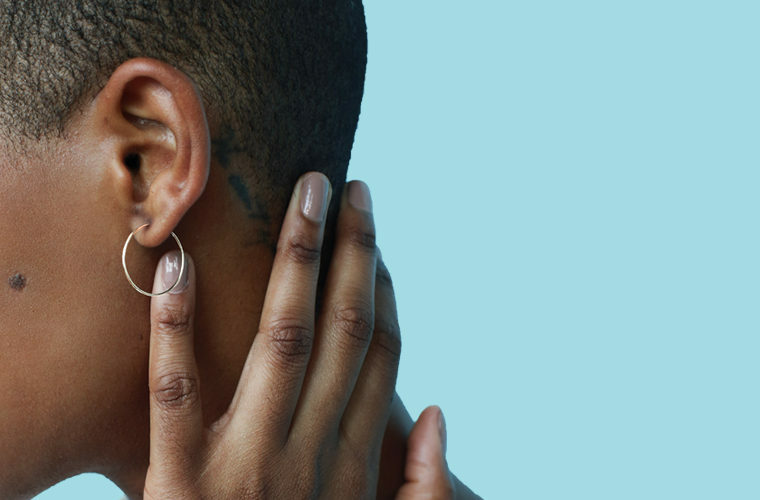 Twisted hoop earrings are flooding the jewelry market and they are here to stay. It is a design detail that doesn’t take away from the classic design of a hoop earring. If you are looking for white gold hoops that you can wear on a daily basis then go for the twisted hoop design. Go for a smaller pair that you can wear for your casual days but also when you are on duty. For the girls night out and special events, you can wear a larger pair. It seems as though layering a necklace wasn’t enough of a challenge. We now have to mentally prepare ourselves for layering our earrings too. Honestly, though, it looks amazing. Layer your white gold hoops with other hoop earrings to create a drop earring. You can mix metals or play with the hoop sizes instead. Also, try combining different designs. For example, a small chunky ivory enameled hoop with a medium solid white gold hoop and a large pearl studded hoop. If this task is still daunting then hit the shops for fashion jewelry that has pre-layered earrings. This hack is not just reserved for layered necklaces. Let the experts do the layering for you. That finalized our style tips for this season’s trending jewelry piece, the white gold hoops. White gold hoops fit into any style, it’s just a matter of finding the one that you fall in love with. Hoops have evolved into more than just a basic jewelry box item. Jewelry designers are having fun with the otherwise simple structure of this jewelry piece. They are offering us what we didn’t even know we wanted. This winter, go and find a bold pair of white gold hoops. Keep reading for more of the latest jewelry trends and how to style them. To view Ana Luisa’s white gold hoop earrings collection, visit our online jewelry shop.